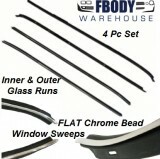 Fbodywarehouse offers a full selection of both NEW reproduction and used GM windows, tracks and parts. We offer the most comprehensive selection of any company in the industry. 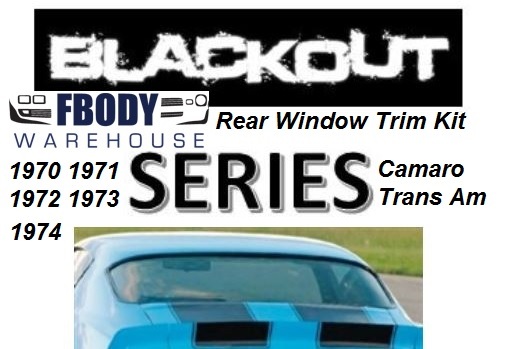 Getting your windows back in order on the 1970 1971 1972 1973 Camaro is easy to do with the right parts. 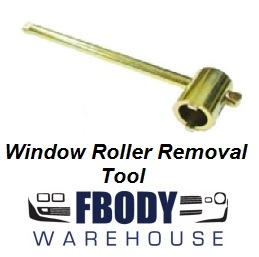 From window track parts to exterior window trim and glass run weather seals we have it all! 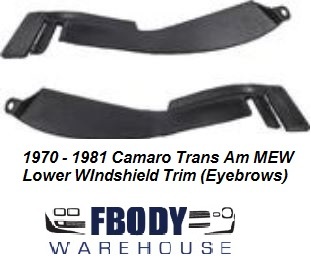 1970 - 1981 Camaro Trans Am Weather Seal Channel Blow Out Tabs WITH INSTALL VIDEO! 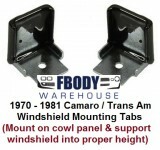 1970 - 1981 Camaro Trans Am Window Up Stops NEW!